Who came up with such an unusual design? Hardy’s of course! 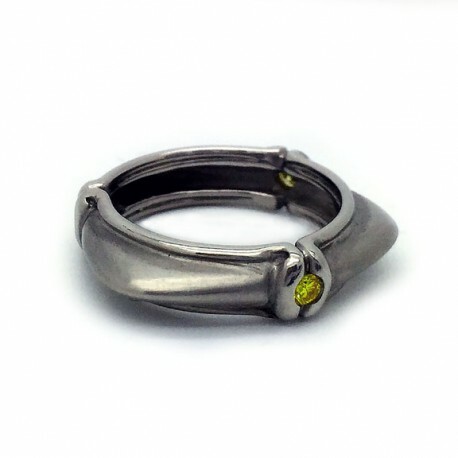 One fancy yellow diamond is set on each side of this fun ring.